Deyaar Development, one of Dubai’s leading property developers and real estate service providers, has reported a 67 per cent surge in 2016 revenues to Dhs428.3 million ($117 million) from the previous year's Dhs257.1 million, mainly due to construction progress in the developer’s The Atria and Mont Rose projects. This in turn led to a 55 per cent increase in 2016 operating profit which hit Dhs218.9 million compared to Dhs141.4 million the previous year, said the developer in a statement to the Dubai Financial Market (DFM). Announcing its preliminary financial results for the full year ended 31 December 2016, Deyaar said the increase in both revenues and operational profit in 2016 reflect healthy and sustainable growth of the company’s business. On the performance, chief executive Saeed al Qatami said: "The measures taken by Deyaar to generate efficiencies, optimise our business model and deliver great product to the market have continued to produce results in 2016. While there is no doubt the market faced challenges in 2016, real estate remained a standout asset class for investment." "With key projects like The Atria and Mont Rose scheduled for delivery in 2017, the commencement of work on the Midtown master development, our ambitious plans for the hospitality sector with around 1,000 keys under development, the intention of launching new projects and as well as our recently announced plans for Dubai South, the Deyaar team is cautiously optimistic about prospects for the year ahead," he added. 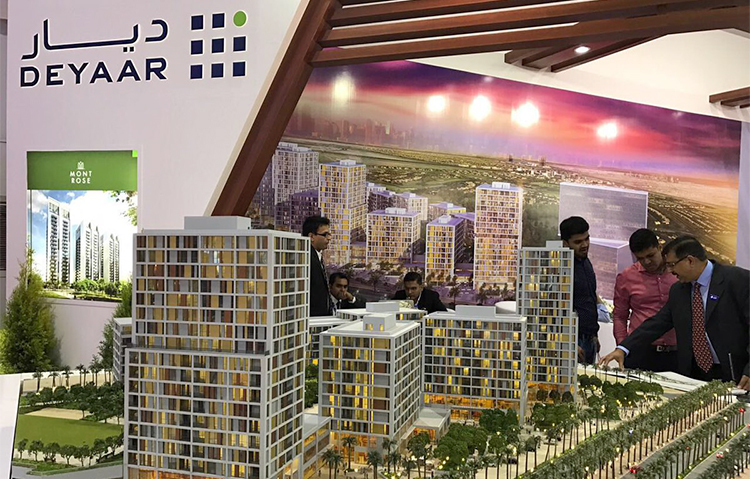 Last year saw Deyaar embark on a series of international marketing initiatives in response to demand from Indian investors, including roadshows to New Delhi and Mumbai, and exhibiting at the Dubai Property Show in Mumbai. The developer also entered into strategic partnerships with Turkish real estate brand Aşçıoğlu, to introduce Deyaar’s popular Midtown development to Turkish investors, and with leading global hotel group, Millennium & Copthorne, to operate three upcoming hospitality developments in Dubai. Al Qatami said the company began 2017 on a positive note with the announcement of an MoU for establishing a joint venture with Dubai South to develop a mixed-use project comprising residential property, retail and hospitality facilities.